Sometime between 1303 and 1310 Giotto executed (and signed) his most influential work, the painted decoration of the interior of the Scrovegni Chapel in Padua. This chapel, the building and decoration of which were commissioned by Enrico degli Scrovegni to atone for the sins of his father, is externally a very plain building of pink brick which was constructed next to an older palace that Scrovegni was restoring for himself. The palace, now gone, and the chapel were on the site of a Roman arena, for which reason it is commonly known as the Arena Chapel. The theme is Salvation, and there is an emphasis on the Virgin Mary, as the chapel is dedicated to the Annunciation. As is common in the decoration of the Medieval period, the west wall is dominated by the Last Judgement. On either side of the chancel are complementary paintings of the Angel Gabriel and the Virgin Mary, depicting the Annunciation. This scene is incorporated into the cycles of The Life of the Blessed Virgin Mary and The Life of Christ. The source for The Life of the Virgin is the "Golden Legend" of Jacopo da Varazze while The Life of Christ draws upon "Meditations on the Life of Jesus" by the Pseudo-Bonaventura. Giotto was one of the first artists of the proto-renaissance period in Italy. 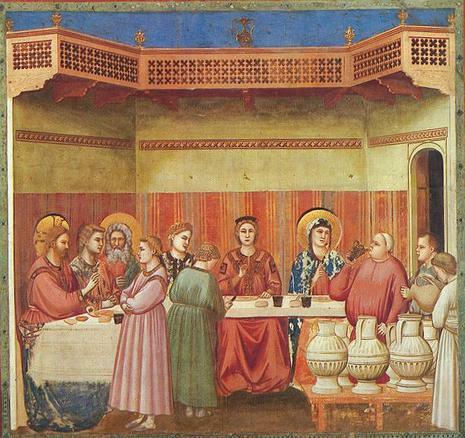 The emergence of Giotto signaled the beginning of the Renaissance in Italy. His style of painting broke so radically from the past that influences on his style are still being debated today. To imagine art without Giotto is nearly impossible. 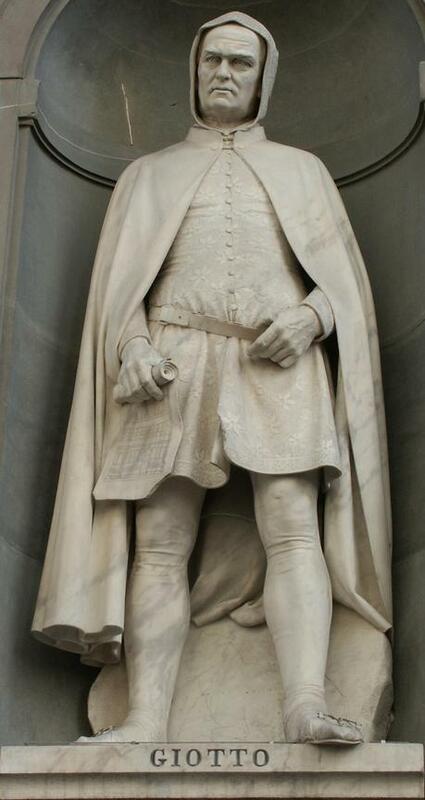 He was such a sensation in his time that he was mentioned in writings by Petrarch and in Dante's Divine Comedy where he was said to have surpassed his master. Sometimes called the "father of western pictoral art", his painting turned from the flatter, more iconic Byzantine style to a more naturalistic approach. A firm proponent of using observation of nature to learn about art, his painting emphasized some major characteristics of modern representational art; sculptural solidity, weight/mass of figures, and dimensionality.